Which manual lymph drainage training do you recommend for lymphedema care? 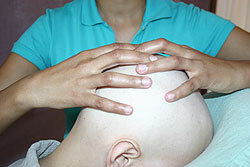 We do not cover MLD or lymphedema treatment in our oncology massage course. The 4-Day Intensive addresses classical Swedish type techniques only, and how to apply them safely. We teach MTs how to work safely, avoiding aggravating lymphedema, but we do not teach how to treat it. We do not take a position on which MLD approach to study, as the field of lymph drainage therapy is wide open and there are several different approaches (Vodder, Foldi, Casley-Smith, Klose, Chikly, Zuther, and Upledger, to name a few). Instead, we recommend that you research the different methods, asking the following questions about the trainings you are interested in: What are your training requirements? Prerequisites? Who will I be qualified to work with, once I complete your training? At what point will I be able to work with pathologies, such as lymphedema? What is your approach to people with active cancer, in treatment, and with cancer histories? What are the prospects for insurance reimbursement for the work if I study this method? What types of referral networks do you maintain? When may I be listed on the network? How is your approach different from the other approaches to manual lymph drainage? What do your training materials consist of? How much hands-on time is included? Will I learn compression bandaging for the treatment of lymphedema? Is there a supervised clinic so I can practice the work with lymphedema patients? Is there a practical or written exam? What type of certificate would I be issued? Is there an ongoing supervision/consulting service available? We recommend that you visit the National Lymphedema Network website if you are interested in this work. Does this course offer certification in oncology massage? This is a great question! Please click here for the answer. No, it cannot. Massage of a solid tumor site should be avoided, but there is more to a person than a tumor site. 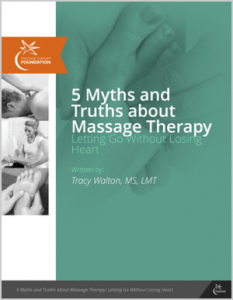 An old myth warned that massage could, by raising general circulation, promote metastasis, since tumor cells travel through blood and lymph channels. We now recognize that movement and exercise raise circulation much more than a brief massage can, and that routine increases in circulation occur many times daily in response to metabolic demands of our tissues. In fact, physical activity usually is encouraged in people with cancer; there is no reason to discourage massage or some form of skilled touch. Massage is practiced widely at the Dana-Farber Cancer Institute, Memorial Sloan-Kettering, and growing numbers of hospitals around the country. Metastasis is not a concern; instead, patients and researchers report countless benefits. (click to read Debra Curties' excellent article about massage and cancer spread).